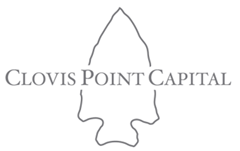 Welcome to Clovis Point Capital. We’re a Houston-based, private-equity fund focused on building growth oriented companies in the lower middle-market. Why the lower middle-market? One, because helping companies navigate the issues and challenges in this segment of the market is our passion. Two, because we believe companies in this space present the greatest opportunity for long-term growth and value creation. Also, according to U.S. Census data, this segment is by far the largest in the economy by number of companies, representing 90 percent of all businesses in the United States. Two-thirds of these businesses are owned by baby boomers, who are aging and increasingly looking to sell or manage the transition out of day-to-day operation of their businesses. We at Clovis Point can help. Rather than focusing on any particular industry, we have taken a business model focus. Clovis Point invests in companies with less capital-intensive, highly scalable business models that have relatively fixed-cost infrastructures. By concentrating on high operating leverage businesses, we can drive expansion in profitability in our portfolio companies by increasing top-line revenues. Furthermore, being industry-agnostic enables us to remain opportunistic and responsive to trends in the broader economy. Some business models that exhibit these characteristics include software-as-a-service, information technology, tech-enabled business services, Internet services and light manufacturing. But there are many more. Our strategy is to invest specifically in companies that earn $500,000 to $3 million a year before interest, taxes, depreciation and amortization, or EBITDA. Our typical investment in any one company is between $2 million and $10 million. Companies in this segment of the lower middle-market are often overlooked by larger, institutional investment funds. At the same time, lending to small business has dramatically lagged behind loans to larger businesses coming out the Great Recession. Furthermore, to the extent a small business could get a loan, those loans also come with restrictive covenants, personal guarantees and fixed principal and interest payments that can further restrict that business’ growth. We have built our careers seeking out the best investments in this area. Since forming Clovis Point in 2014, we have made two investments: CPaT Global in The Woodlands, Texas, and MediaPro of Bothell, Washington. Both companies operate software-as-a-service business models that offer their clients access to extensive libraries of proprietary content. We are working hand-in-hand with management at these companies and are already achieving significant growth. CPaT Global provides computer-based training for the commercial aviation industry. The company’s training solutions are device-agnostic and can be delivered via the cloud. MediaPro provides a comprehensive collection of award-winning, e-learning content in information security, privacy and corporate compliance. The company has a long history of helping many organizations with a wide variety of learning, hosting and awareness solutions including Microsoft, Oracle, Marriott, Western Union and many more. At Clovis Point Capital, we have a deep understanding of the lower middle-market, along with all of its challenges and opportunities. Whether you are an investor or a business, we welcome the opportunity to discuss how we can put our experience and that of our extensive professional and personal networks to work for you. Clovis Point Capital makes Equity Investment in Mobile Solutions to Accelerate Growth. How long does it take for employees to be security conscious?